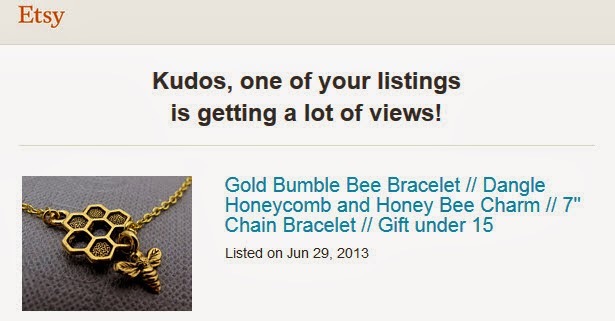 My little Golden Bee bracelet has been buzzing with views lately! I was so thrilled when I got a mail from "Etsy Popular Listing Emails" about it. I didn't even know Etsy tracks such things! It was a pleasant surprise indeed. "A spike in traffic might mean that your item is being featured on Etsy or somewhere else online. Take a peek at where that traffic is coming from:...."
After much investigation (Ms Piggy puts on her detective cap), I found out that my item was featured on a blog called "Captain on Deck - Phasers on Stunning". Taking a wild guess, this blogger must be a Trekkie (fan of Star Trek). So am I! 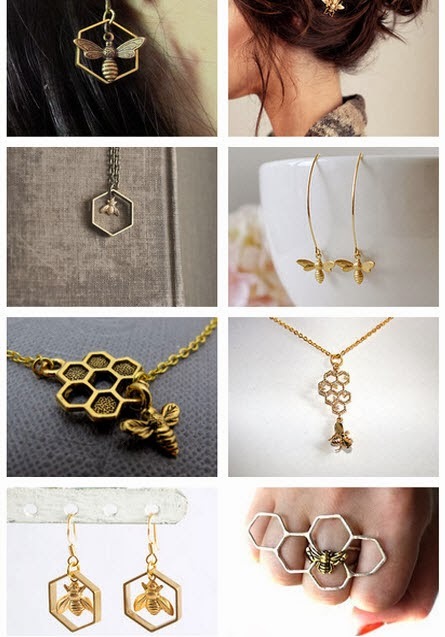 My little bee bracelet were among the gorgeous collection of bee jewelry from Etsy crafters. The article had a great number of views and was reposted a number of times. Check out the featured items here.